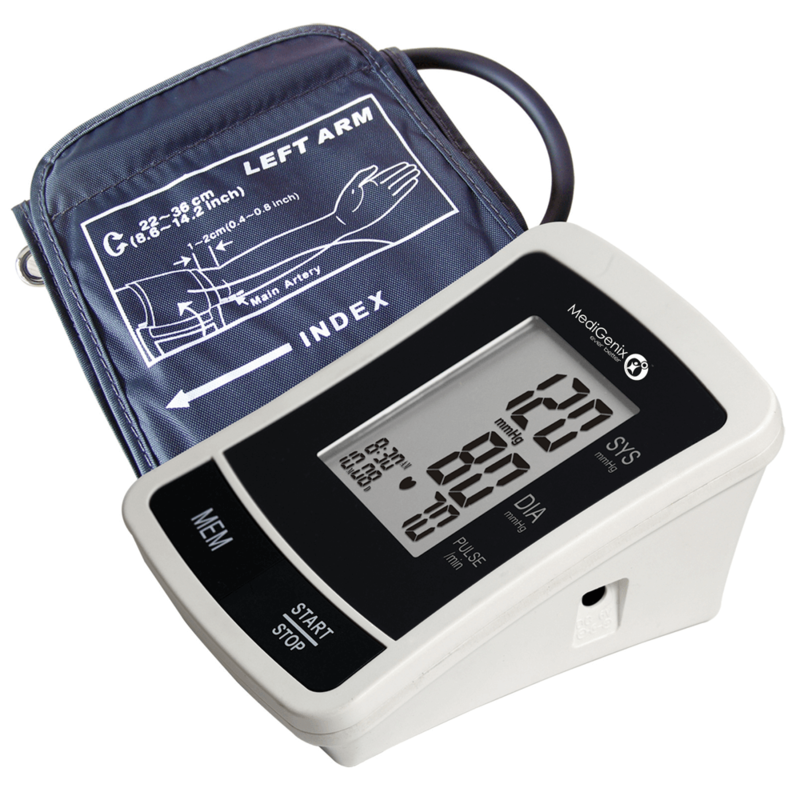 The MediGenix fully automatic Blood Pressure Monitor is suitable for clinic or home use. It has 2 x 60 memories. The easy to use monitor will indicate if arrhythmia is present by showing a heart icon in brackets. If you get this result, it's very important to see your doctor. Take your blood pressure reading at the same time each day - first thing in the morning before you get out of bed is best. 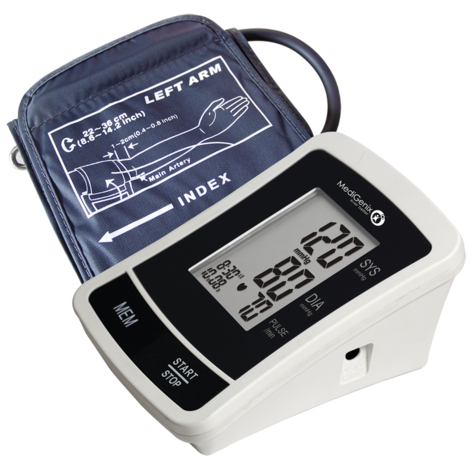 The 2 sets of memory is ideal for 2 users to keep their history separate and the World Health Organization bar down the side of the display helps make sense of your reading by indicating whether your blood pressure is high, normal or low. 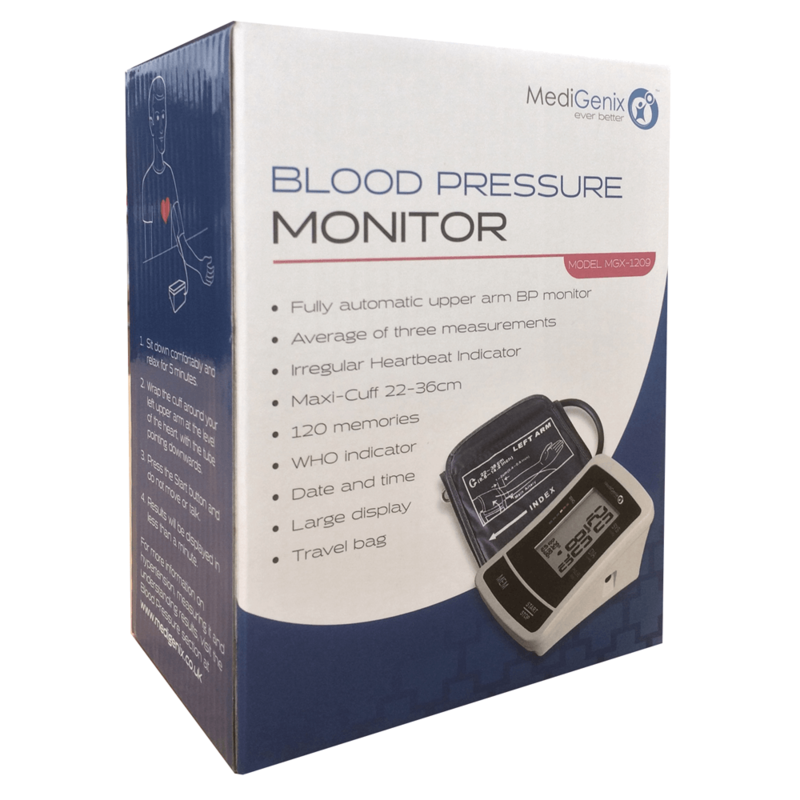 The MediGenix BP Monitor is a reliable device that should provide you with years of service. It comes with a handy carry bag and batteries and our after-sales-service. WHO Blood pressure indicator scale on screen. 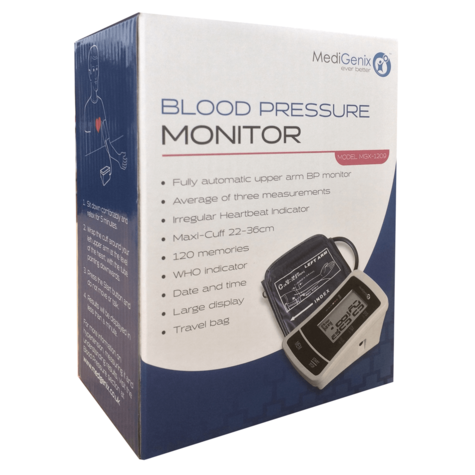 Buy with Confidence from a MediGenix Authorised Dealer and All Purchases come with a VAT Receipt.